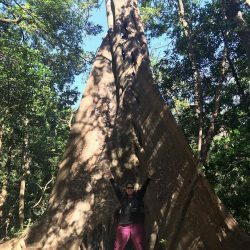 In January 2019, our Residential Energy Program Manager, Larissa Johnson spent 15 days in Costa Rica, a country that (while she was there) was running on 100% Renewable Energy! 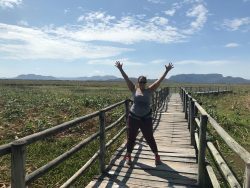 Find out more about her adventures in our second ever DEP Travel Diaries. So one of my New Year’s Resolutions for 2019 is to be able to communicate more effectively in Spanish, especially when I’m talking to residents in the County. I took Spanish in high school and college but I still struggle with conjugating, and I don’t have a vast vocabulary so I figured that 15 days in a Spanish speaking country would help me. And it did! Many people ask me why I picked Costa Rica for my Spanish immersion and it was for three reasons. Costa Rica is pioneering the future of running on renewable energy and may be the model for future countries to follow suit. 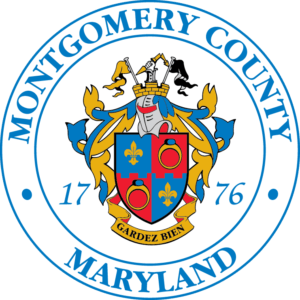 As the Residential Energy Program Manager in Montgomery County and someone who believes in the interconnected nature of all things, I am always looking for opportunities that help me bring together the things I love and the things I am learning. Being in a country that is at the forefront of energy was a big bonus for me! Did you know the country has run on 100% renewable energy for 299 days??? Spanish immersion opportunities. 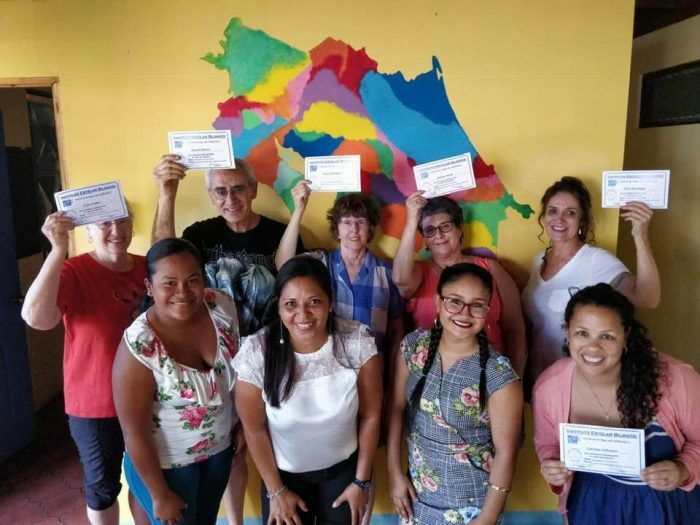 The school I studied at for two weeks, Instituto Estelar Bilingue, not only had me taking classes for 20 hours a week but they offer homestays with amazing Costa Rican families. 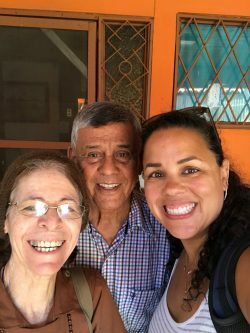 For a nominal price, you get to live with a host family who provides you with a private room, 2 meals a day, laundry service and Spanish practice opportunities since they speak very little English. You also get the opportunity to experience and live the culture which is priceless. Club A. If you have ever been to one of my energy presentations at a library or a school, you know how much I love presenting to kids! Club A organizes educational, dynamic activities every week for a group of kids who live in an impoverished neighborhood just outside of Liberia, Costa Rica. 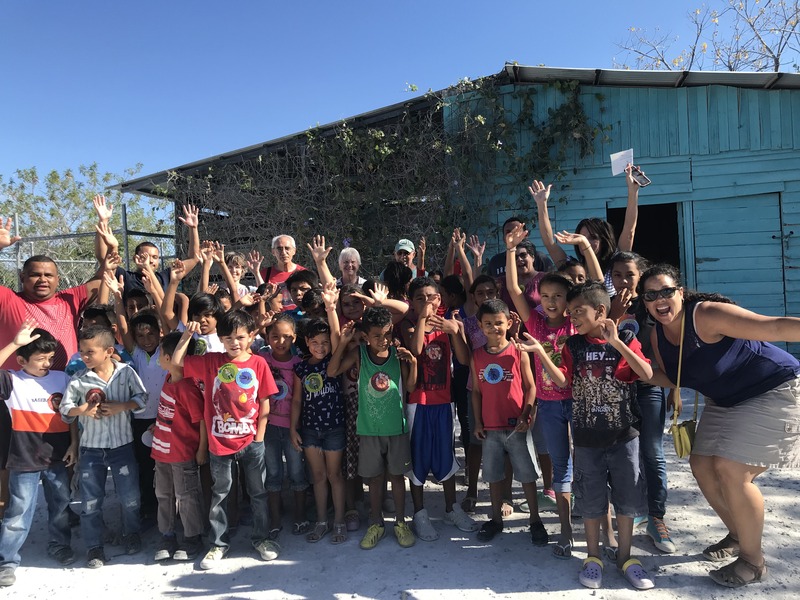 As part of the program, they provide them with a healthy snack and collect donations to pay for their school supplies, uniforms, books – everything they need to be successful in school. And I had the opportunity to practice Spanish and teach some basic concepts in English. 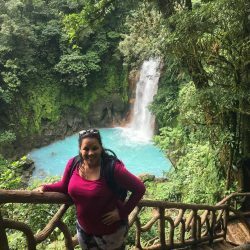 While I was in Costa Rica, I spent every week day in a classroom setting learning the basics of the Spanish language and then in the afternoons, I explored the city, took aerobics classes in Spanish, and did a ton of tarrea (homework). On the weekends, I was able to visit a few National Parks; Palo Verde, Rincon de la Vieja, and Rio Celeste and while the hikes were challenging, the views were amazing! 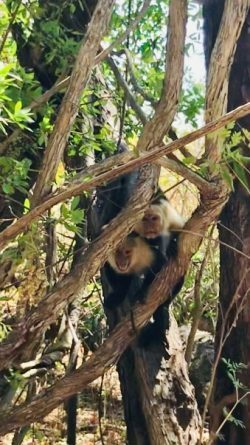 I even had a very close encounter with some White Faced Monkeys! Even with all of these amazing vistas and views, the most rewarding experience I had by far was with the students at Club A. I had the opportunity to attend two sessions with the Club A students, one time as an observer and the next time as a leader! I didn’t have a set plan when I traveled to Costa Rica about presenting on energy usage to the students but it everything worked out that way. The session I ended up leading was focused on energy usage in Costa Rica. I had a few additional English adult volunteers to help me — which was super helpful because we did the same presentation for four different groups of students, teaching over 50 students throughout the two-hour session. Next, we taught them a move for each of the words and every time I said the word, they had to act out the motion. Then, we talked about how much energy comes from each of the energy sources and they practiced saying the numbers in English. Finally, we really energized the students with some serious physical activity! Each of the adult volunteers held up a sign with the percentage of their energy source on it. Then we broke the students up into groups and the team that reached the correct person received a point. You can see some of the action in this video. I was able to take the information I have been studying and teaching about for years in the United States and apply it to a different country and in a different language. It was such an amazing experience! Another amazing thing is that by the year 2021, Costa Rica plans to be completely carbon neutral, and yet in Maryland we are still hovering at about 10% renewable energy use in the state. We have a long way to go but I think teaching in an active way really helps people learn about new topics and information. I will continue to ENERGIZE our students and residents in the same way I did in Costa Rica! To learn more about DEP’s Energy Programs and upcoming events, visit MyGreenMontgomery. 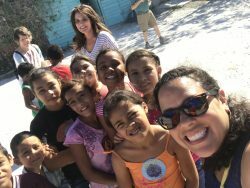 2 comments on "DEP Travel Diaries: Energized in Costa Rica"
We loved having you in our Spanish immersion program at Instituto Estelar, and we appreciated so much your work with Club A kids. You are amazing – such a gifted, natural teacher. Bless you! Thank you Bethany! It was a pleasure sharing my love of energy with the kids at Club A!